One of the best growing systems for seeds, seedlings and cuttings. 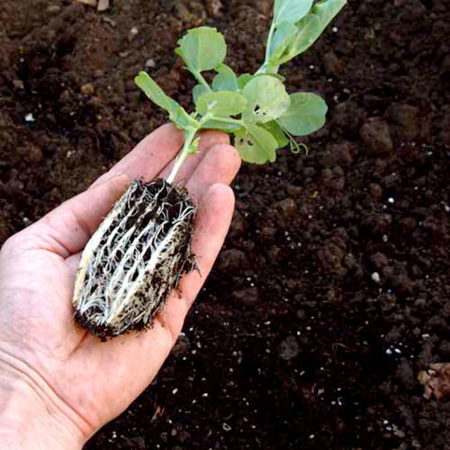 Rootrainers' unique deep ribbed cells produce strong, fibrous root systems without creating pot bound roots. The re-useable cells open like a book so plants can be removed easily without disturbing their roots. Ideal for all plants that require deep root runs, such as sweet peas and runner beans. 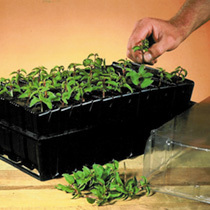 Each pack contains 2 holding trays and 2 propagating lids. 64 cells, 12cm (5").